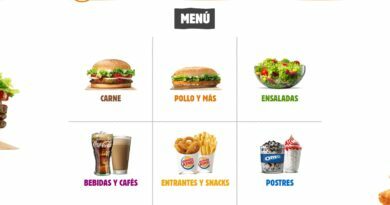 Burger King Spanish Whopper - Price, Review, Calories & More! The Whopper’s cool cousin from Spain has arrived. It’s still 100% flame-grilled beef but now it’s got a cute European accent and a topping of crispy onions, bacon, brava sauce and a helping of Spanish flare. Olé. 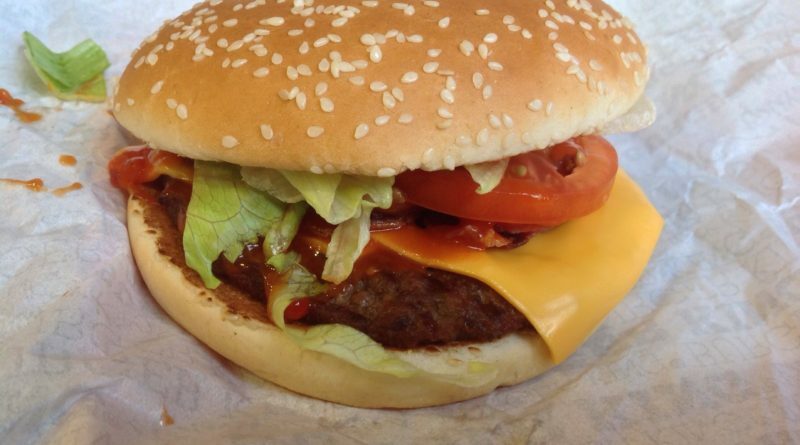 Price: £4.59 for the burger only (subject to variation). 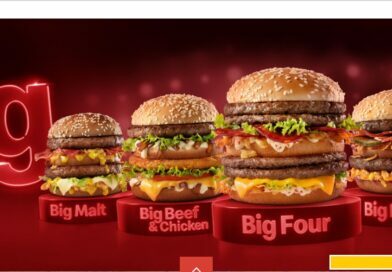 Calories: 592 kcal for the burger only. 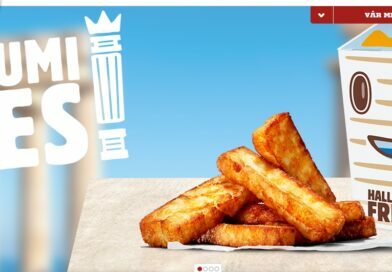 Burger Lad® was the first in the world to bring you the exclusive news of the launch of the Burger King Euro Trip promotion and we’re back again on day one to check out the Spanish Whopper. 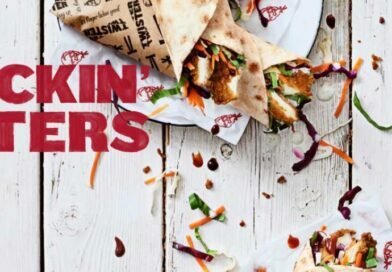 Now yesterday we reviewed the KFC Pulled Chicken Ultimate Burger so it was a bit of a daunting task knowing that we were going into BK to review not one, but two of the new promotional items from the King and Co. It was a good time to hit BK. The lunch time hoards had long since departed and it was early evening so it didn’t take too long to get served and wheel away with this safely on my tray. We gate-crashed upstairs (this particular restaurant doesn’t allow paying customers to eat upstairs all the time but passing non-paying members of the public more often than not head straight upstairs to use the toilets). 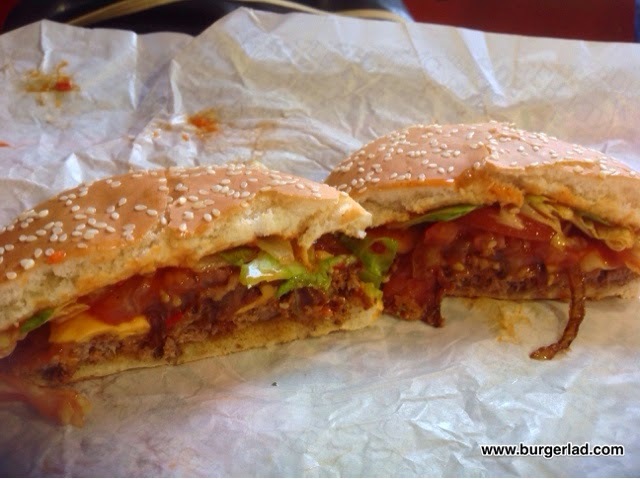 Anyway… this is Burger Lad® and we’ll sit where we want gracias. We’ll tell you why we think they close upstairs in our review of the Amsterdam Steakhouse. 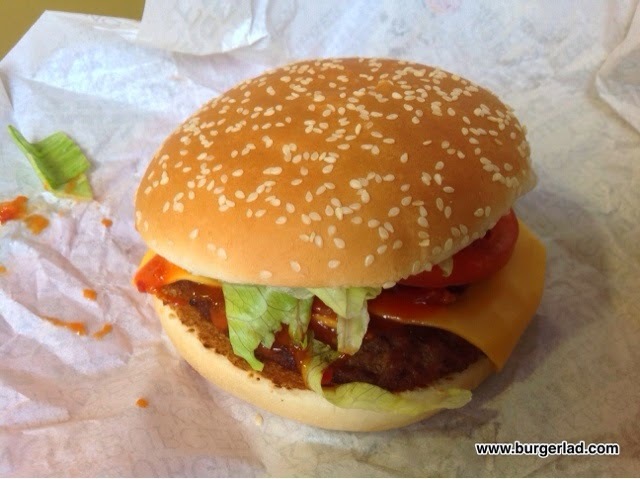 This had been constructed fairly well in appearance – cheese draping out over the side of the Whopper patty. 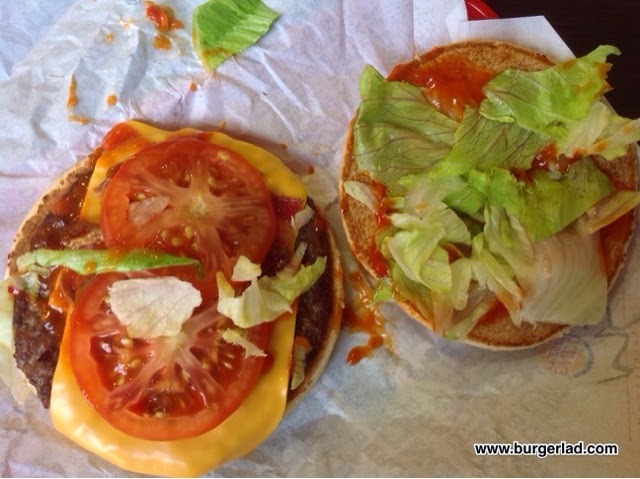 The sauce was glistening with a red sheen and lettuce and fresh tomato poked out the sesame seed bun. We filmed our latest episode of BLTV which you can see below and dived in for a taste of the Mediterranean. I’m not a fan of fresh tomato but I left it in and on this occasion it wasn’t as over-bearing as I have so often found with this almost obligatory burger topping. The sauce is not exactly “scorchio” but it has got a bit of a kick to it. It’s very sweet with a piquant twist. In terms of spice levels it is nowhere near the honey cayenne sauce found on the California Whopper but it’s still hotter than anything you’ll currently find at McDonald’s. 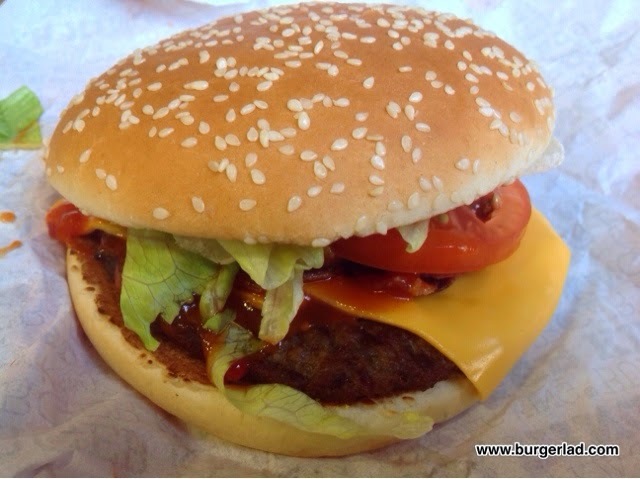 The patty was alright… the standard whopper fare with that trademark flame-grilled flavouring. The cheese acted well as a binding agent, no distinguishable taste but always welcome and the lettuce was fresh and plentiful. I even kept the tomato in the whole time which was a testament to how well the flavours worked together with their bitterness offset by the sweet sauce. But what of the bacon? And the crispy onions? Well I’ve had crispy onions before and if they were on there I couldn’t pick them out. 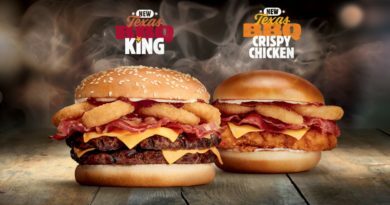 And if you look back at the BK promotional picture it looks like an abundance of bacon on-board – sadly this was not the case with this build. In fact, I’d be pushed to recollect if it was indeed even on it. Sloppy review work yes… but that’s what I like about McDonald’s promotional items. 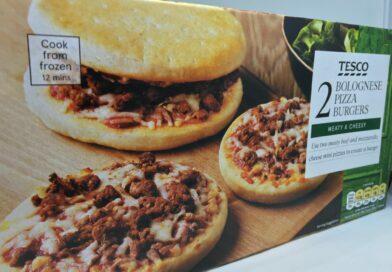 Their boxes include every ingredient in the description so you can double check exactly what is on them. 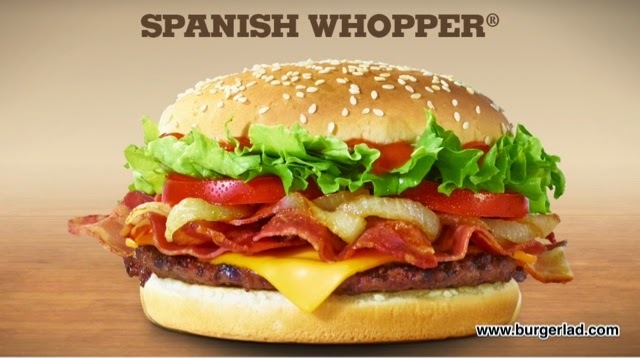 So the Spanish Whopper? Did it have that promised “Spanish flare”? hmmm no. The sauce was good-ish, I can relate to why they’d call this a “brava” sauce as I’ve eaten a fair bit of patatas bravas in my time and this is a fairly decent High Street, Fast Food attempt. At £4.59 and weighing in at just under 600 calories I can tell you for a fact I would not have it again. It’s decent, not bad, not good just middle ground. Being “Spanish” it is crying out for fresh red or white onion… maybe next time… I know it is supposed to have crispy onions but I just didn’t get anything on mine. 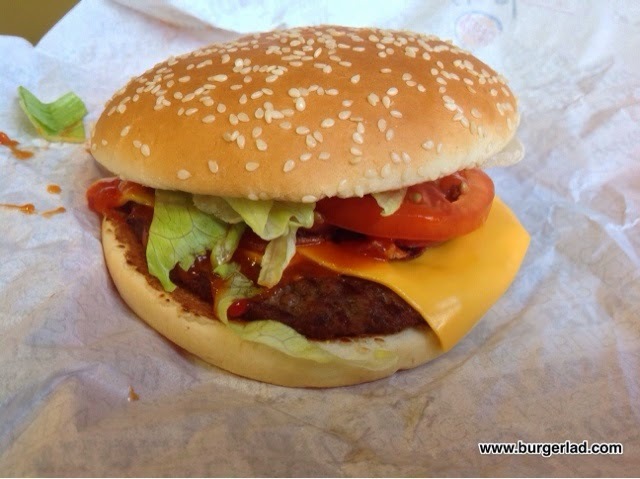 With that let’s take one last look at the Spanish Whopper before heading off to Amsterdam for part 2 of our Burger King Road Trip. Adiós amigos!